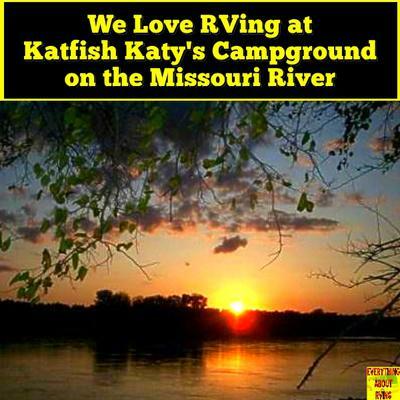 Nestled in the middle of Missouri is Katfish Katy's campground in Huntsdale, Missouri - a small, private campground right on the banks of the Missouri River, which Lewis & Clark described as the most beautiful part of their whole expedition. Most people find peace and solace being near water, whether it's the ocean, a lake, a river, or a creek. The view at this campground will take your breath away. Sunsets over the river are celebrated here - they are different each evening. Catfish are biting - a boat ramp provides easy access to the river. The Katy Trail provides easy access for bikers and hikers. 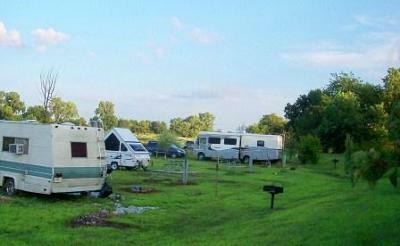 RVers like to escape from the frenzy and chaos of society - this campground provides the perfect setting for that. 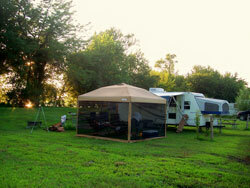 During the warmer months, the campground hosts live blues music and bbq every Sunday afternoon. As the crowd gathers with their lawn chairs and coolers, the music soothes away all stress and for a few hours, all that matters is that you are sitting under a shade tree on the banks of the river, tapping your foot to the music and enjoying great barbeque. Campers who get the itch to DO something are close to everything they need or want. 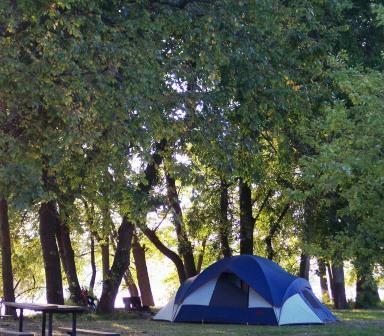 The campground is ten miles from Columbia, Missouri. Down the Katy Trail about 6 miles is Les Bourgeois - a beautiful winery that sits on the bluffs of the Missouri River. A few miles in the other direction is Eagle's Bluff Conservation Area. We love this place! You'll see what we mean when you visit! Editor's Note: For more information and to make reservations visit the Katfish Katy's Campground Website. Thanks for the report. That is only 100 miles down the road, perfect for a weekend getaway.